A female pedestrian believed to be in her 70s has been taken to a trauma centre after being struck by a vehicle in Etobicoke. 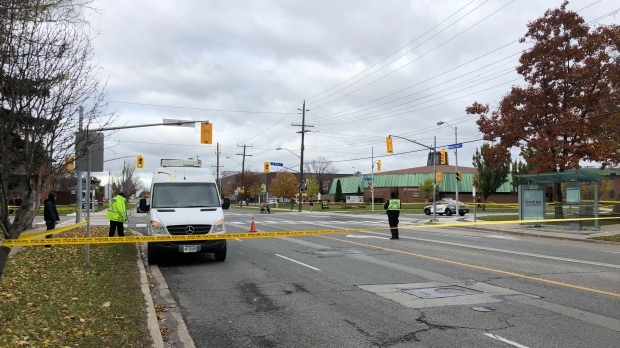 The incident occurred around 2 p.m. on Thursday near the area of La Rose Avenue and Royal York Boulevard. Toronto police say that emergency crews found a victim suffering from serious injuries. Roads in the area are closed while police investigate.